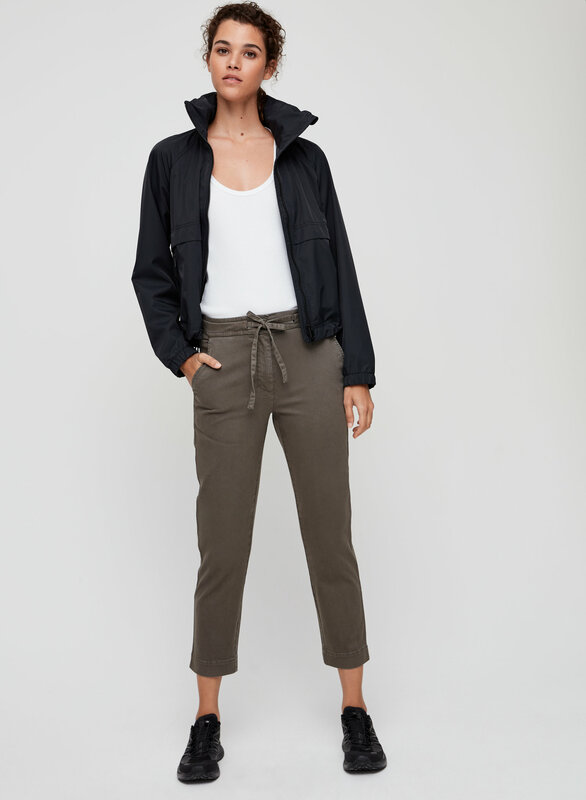 Styled with tamsin tank and rhiannon anorak . Going places. 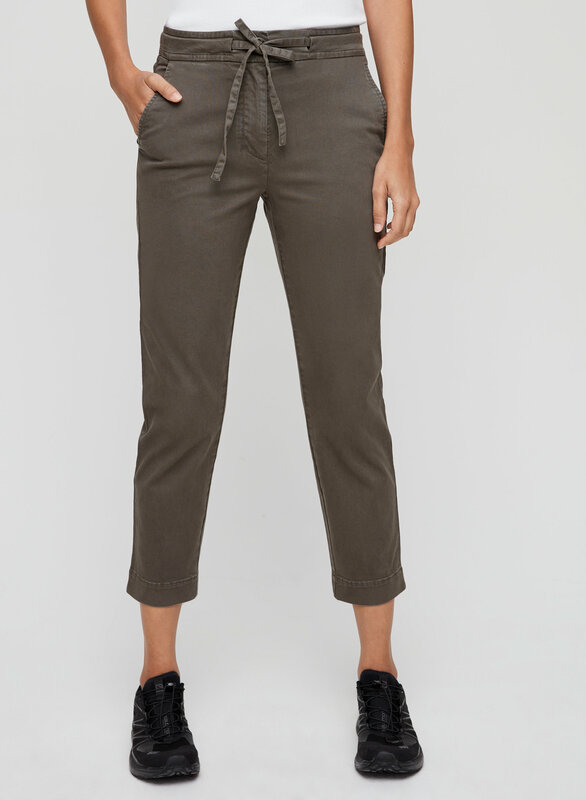 This is a relaxed, ankle-length pant with a drawstring waist and trouser detailing. 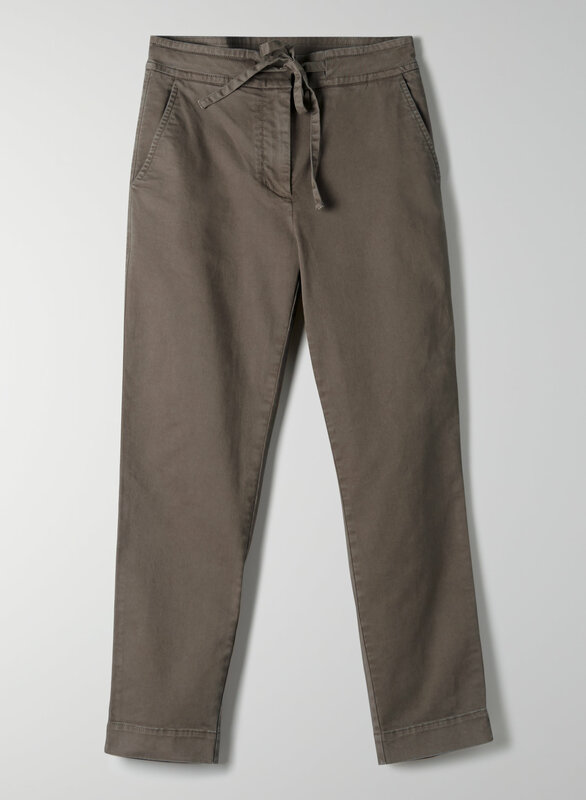 It's made with a stretch cotton twill and has been specially dyed for a lived-in look.